ZoukOut Singapore finally wraps up its 2017 line-up with Amelie Lens, MaRLo, DJ Snake, and the members from Asia’s hottest hip-hop collective 88Rising! 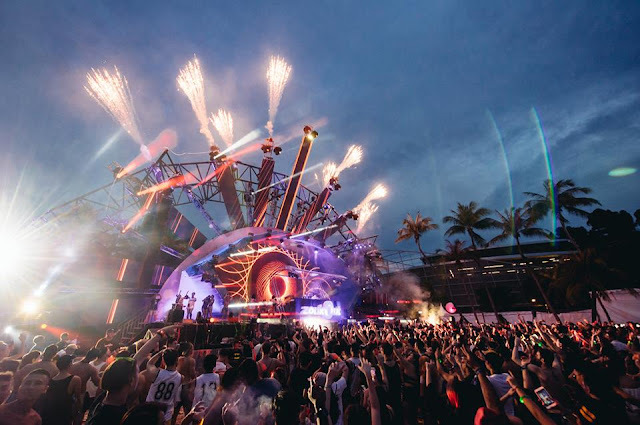 Amelie Lens, MaRLo and DJ Snake will be joining the main line-up which already includes Axwell Λ Ingrosso, Flume, marshmello, Robin Schulz, Gui Boratto, Yellow Claw and Claptone. Meanwhile, the gang from 88Rising such as the Higher Brothers, Joji, Keith Ape and Rich Chigga will be performing special live sets, alongside Swedish duo Salem Al Fakir and Vincent Pontare. There’s also a whole lot of regional and local act performing at the including Malaysian duo BATE, Singaporean turntablist LeNERD, Tokyo’s bikini dancers CyberJapan Dancers, and more! 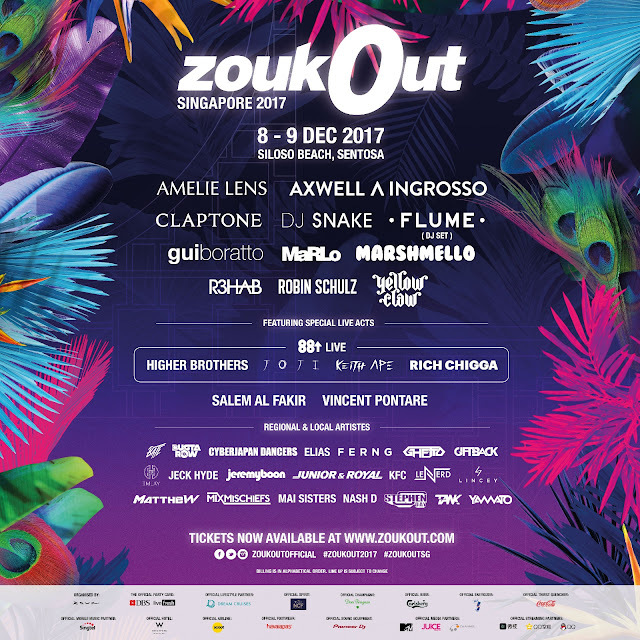 This year's edition of ZoukOut is scheduled to take place on 8 and 9 December 2017 at Siloso Beach in Sentosa. Tickets are available on zoukout.com.